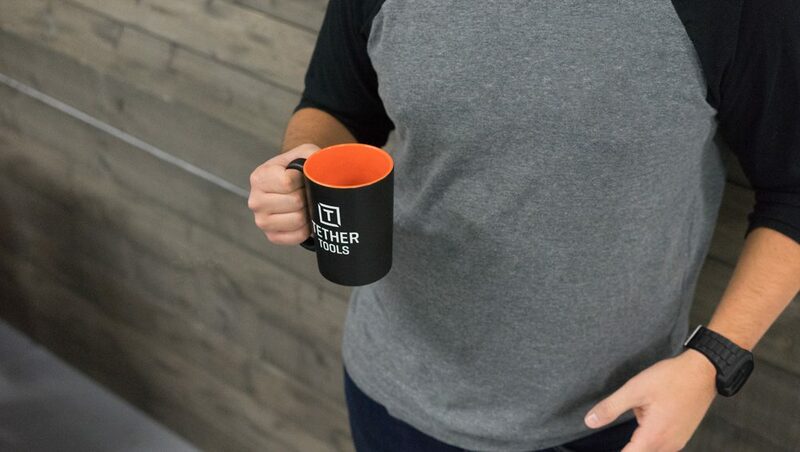 The Tether Tools Logo Mug is a 15 ounce ceramic coffee cup with a non-reflective matte black exterior and glazed interior featuring our signature high-visibility orange. Perfect for whatever you’re drinking or use as the coolest looking pen cup you've ever had. 6 different Tether Tools stickers for free. You just pay for shipping. Limit one pack per customer.